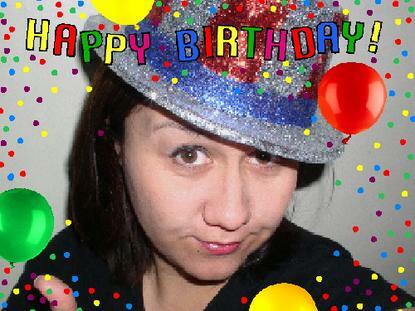 but hey, everyone’s wishing me a happy birthday, so i’ll be ok.
off to shower before dinner. which, incidentally, is not yoshi’s, wendell (i don’t want to have to cook! ), it’s a different japanese restaurant in santa monica. good food, friends, the best girlfriend. what more could i ask for today? 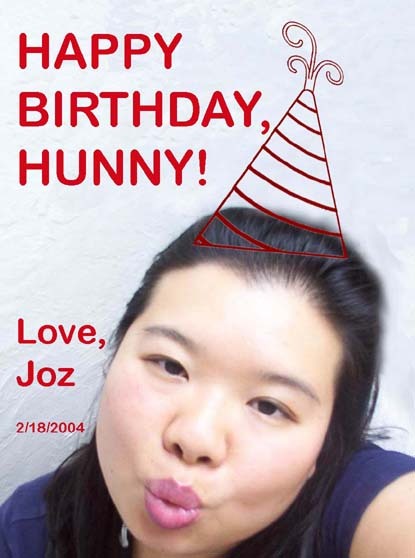 The jozjozjoz.com archives for Wednesday, February 18th, 2004.